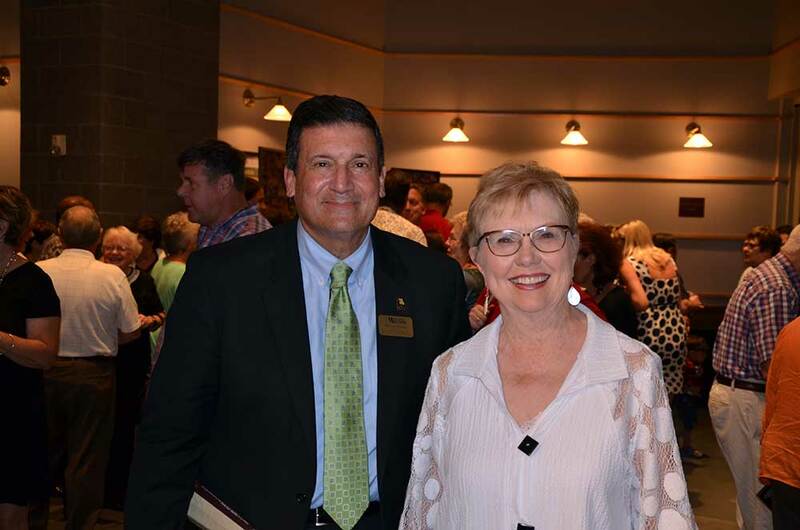 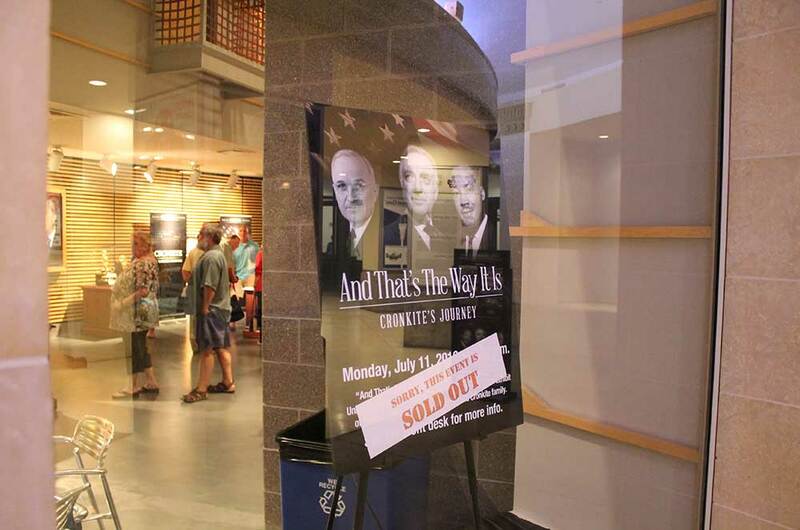 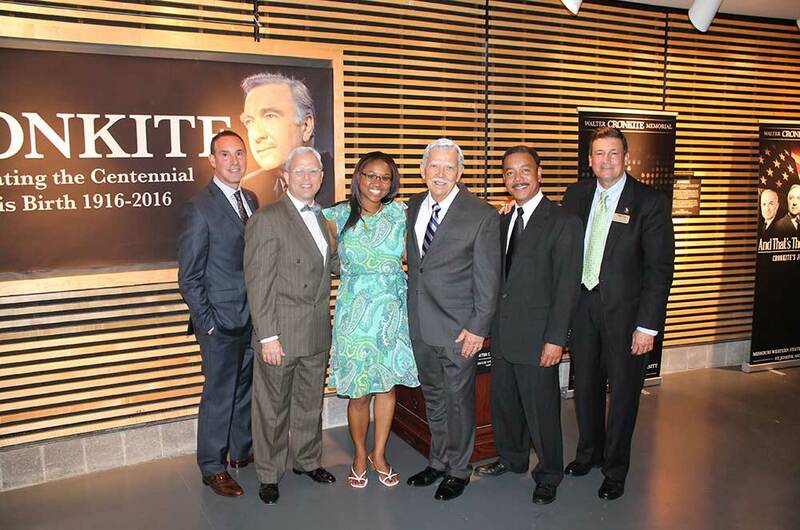 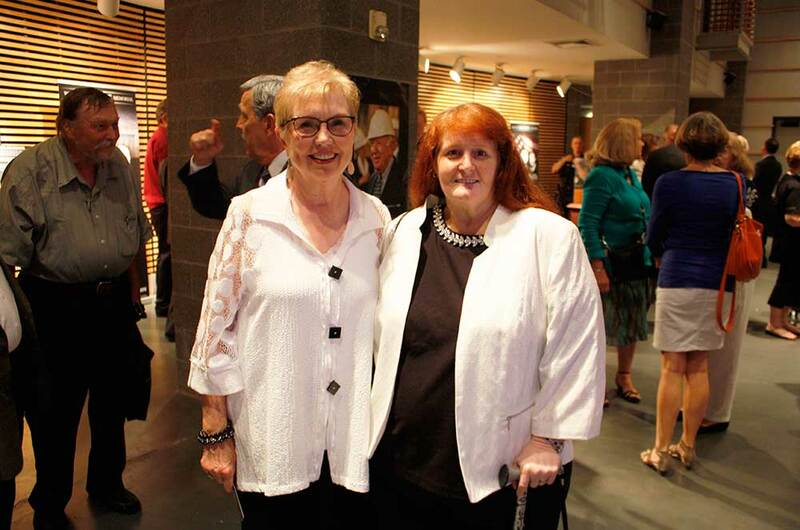 On July 11, 2016, Missouri Western State University and the Walter Cronkite Memorial debuted “And That’s The Way It Is: Cronkite’s Journey” at Union Station in Kansas City, Missouri. 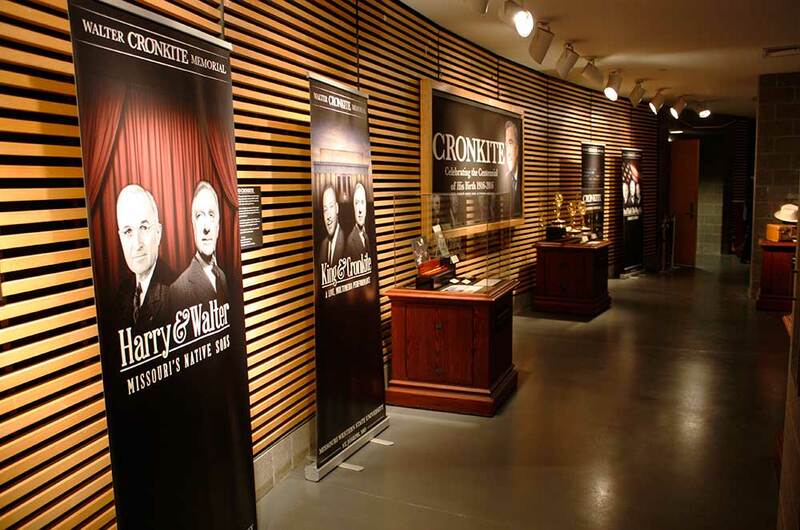 “And That’s the Way It Is: Cronkite’s Journey” includes three parts: “Harry & Walter” explores the parallel lives of Missouri’s celebrated native sons President Harry S. Truman and Walter Cronkite. 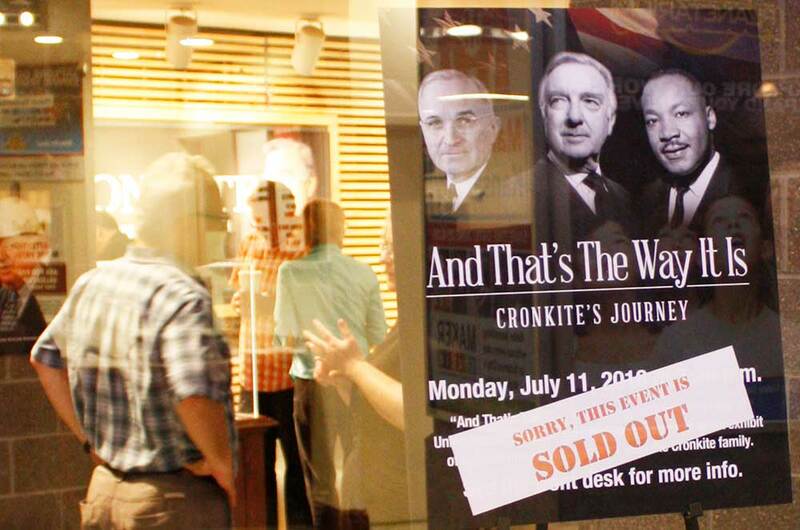 Starring Ken Remmert as Truman and Jim Korinke as Cronkite. 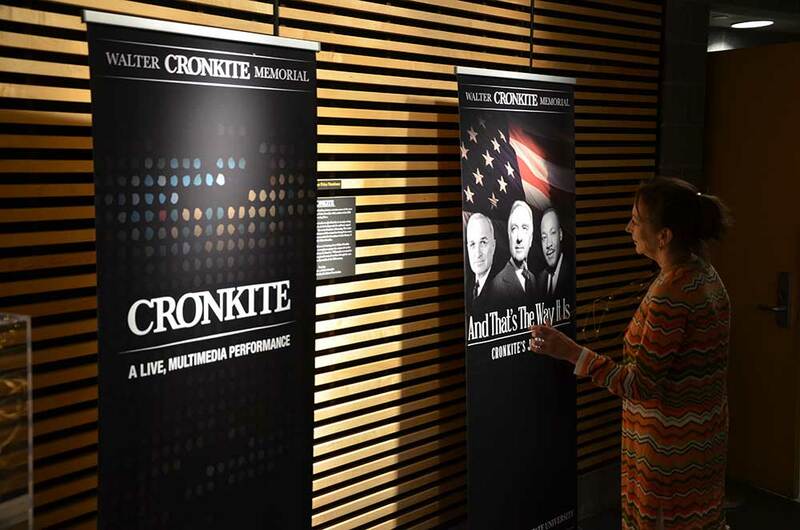 “King & Cronkite: A Live Multimedia Performance” features the words of civil rights leader Martin Luther King Jr. and the reflections of Cronkite on the civil rights movement. 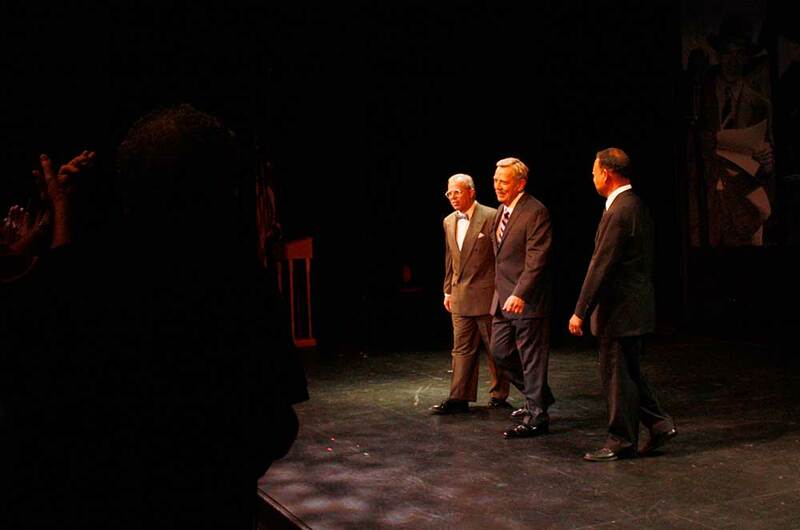 Starring Korinke as Cronkite and Walter Coppage as King. 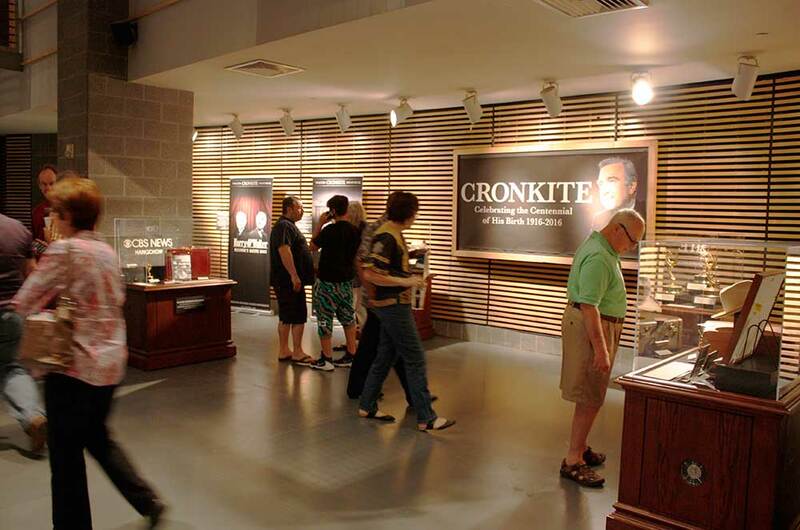 “Cronkite: A Live Multimedia Performance” is based on an interview of Cronkite on CNN’s “Larry King Live” one year after the 9/11 terrorist attacks. 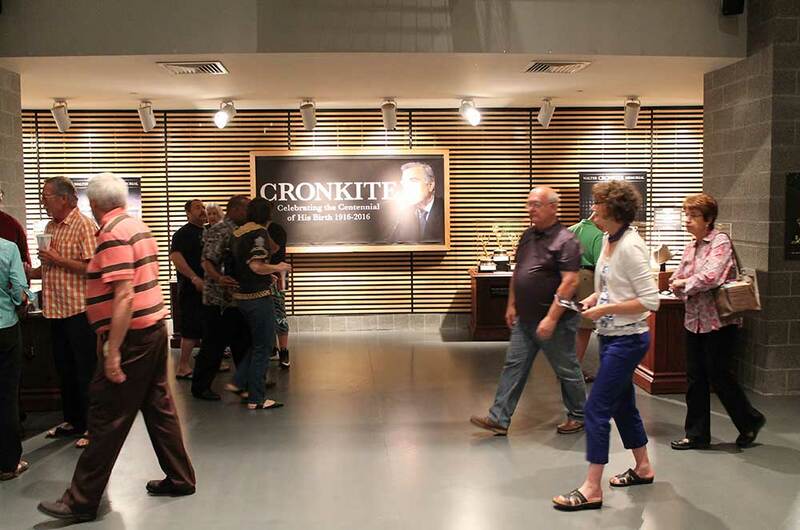 Cronkite reflects on that event and other events he covered during his career. 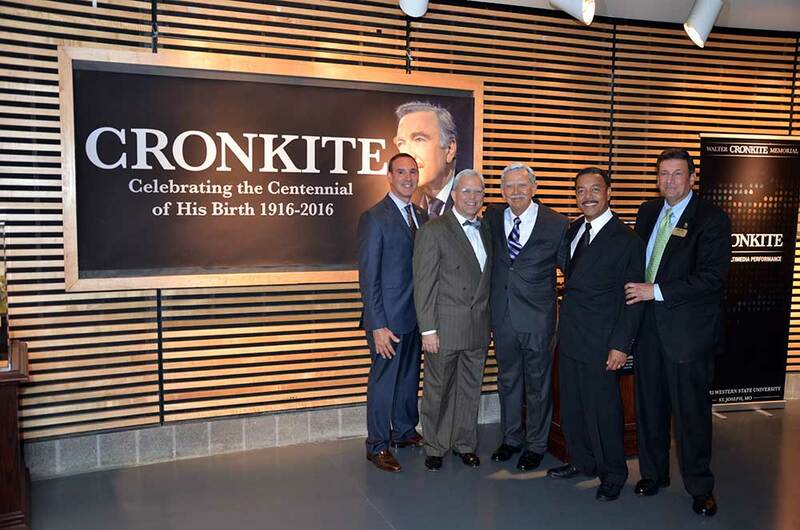 Starring Korinke as Cronkite. 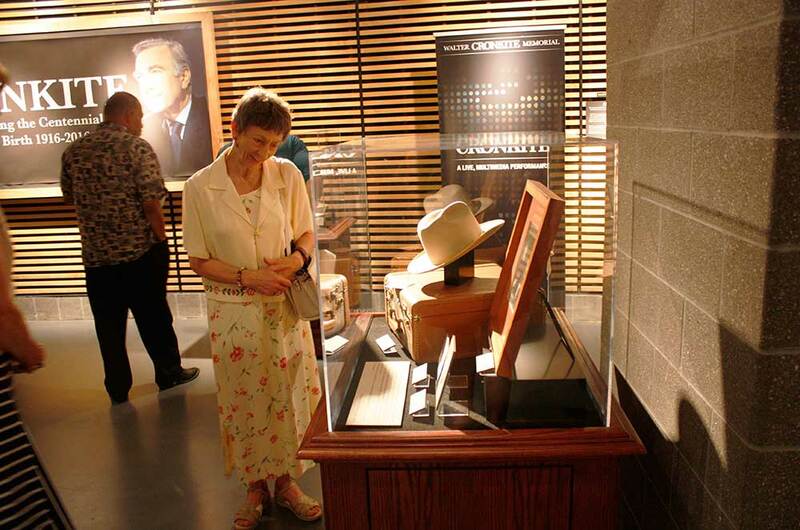 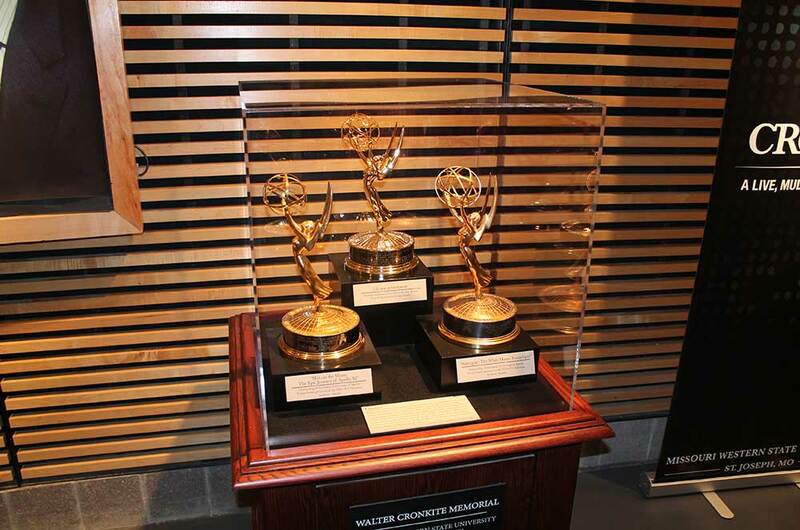 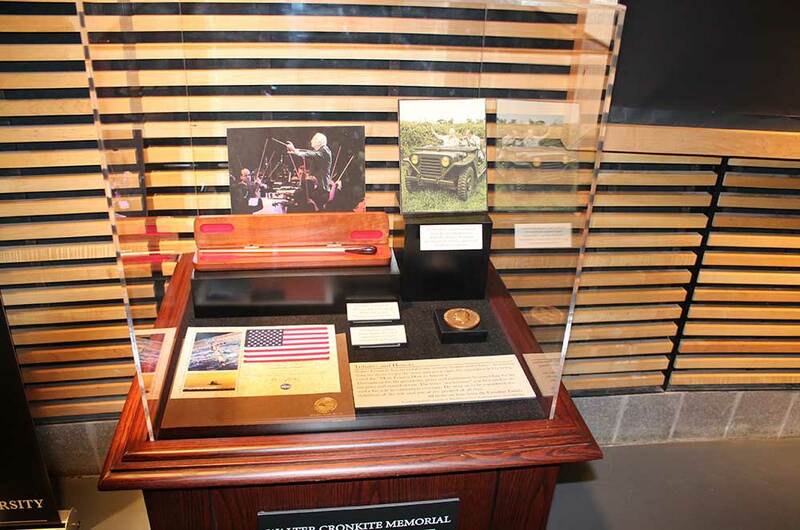 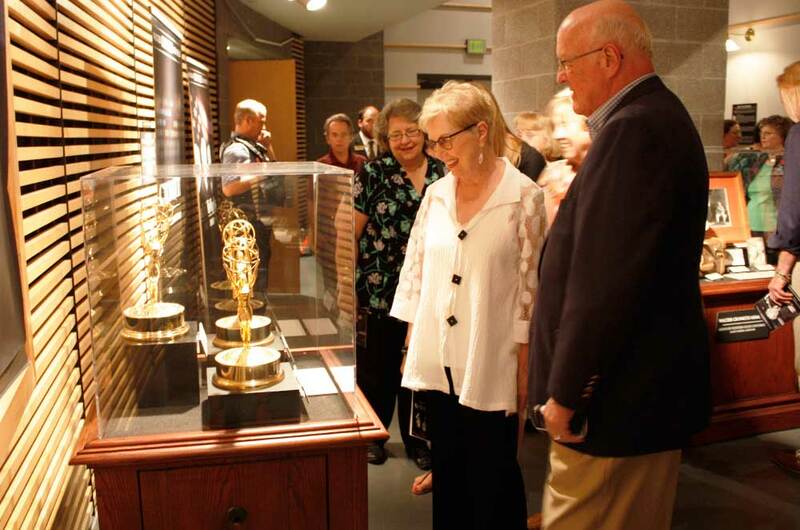 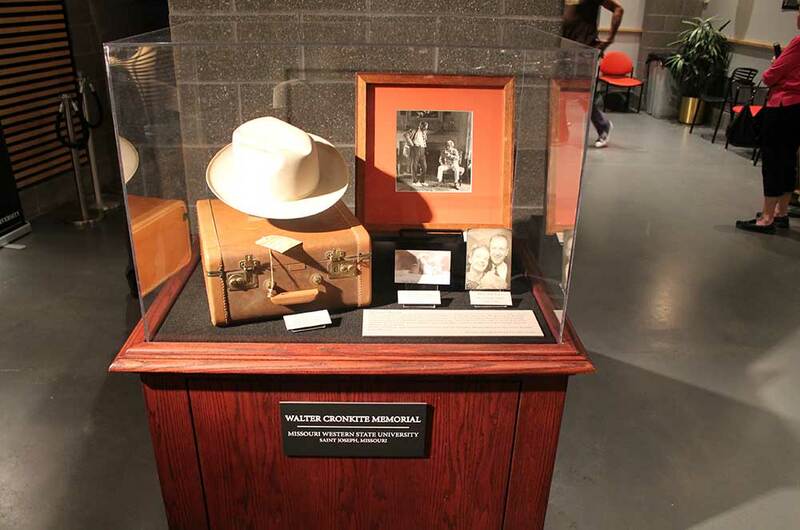 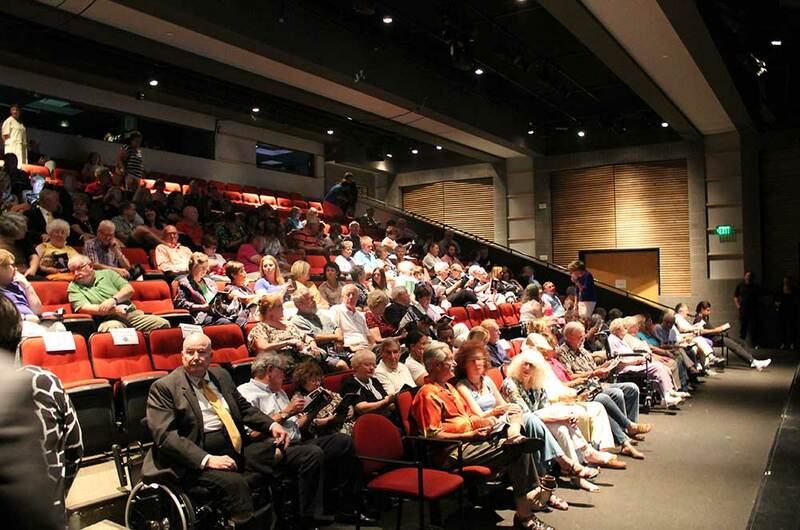 Conceived by Dr. Robert Vartabedian, president of Missouri Western State University, the shows are part of the Walter Cronkite Memorial, located on the Missouri Western campus. 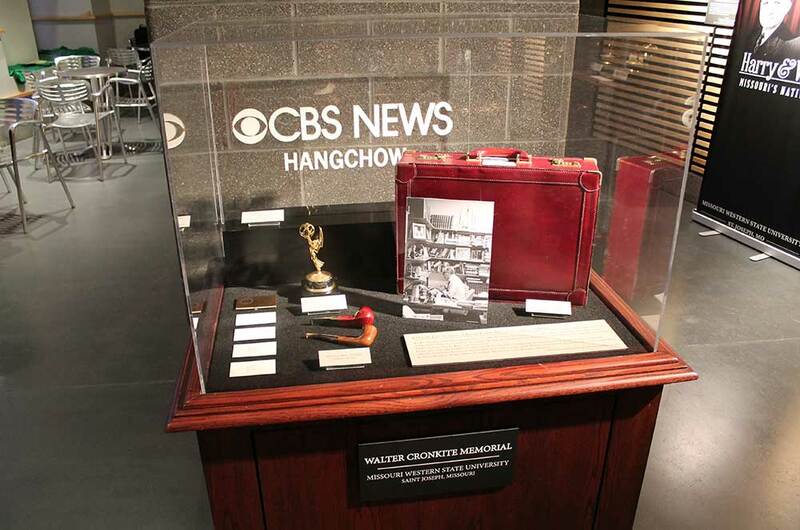 From July 1-13, Union Station featured a special exhibit on Walter Cronkite, created by Missouri Western’s artist-in-residence, Eric Fuson ’88. 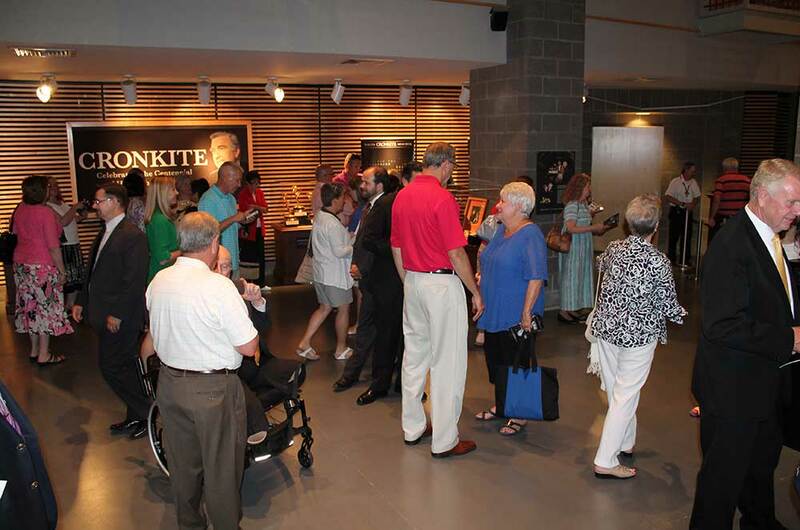 The performance and exhibition were well attended and well received. 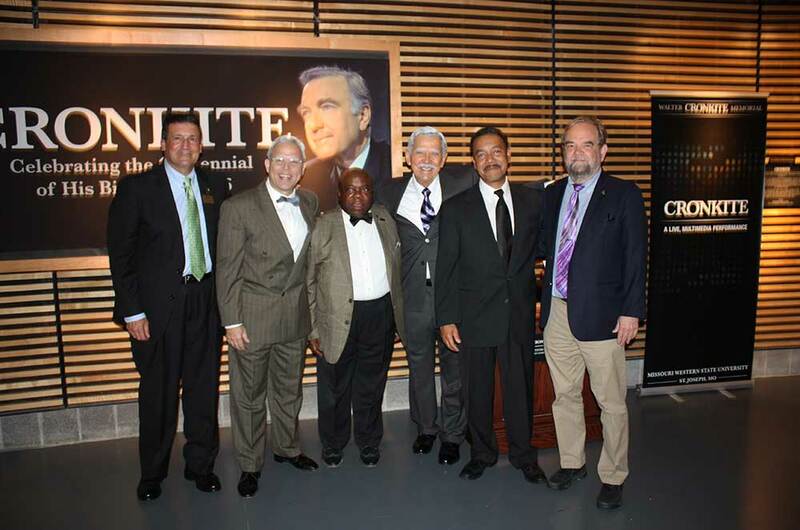 Please enjoy the following photos from the event.